To see my Desk Note Card Caddy from this morning click HERE. I'm excited to share with you a new mug rug. I think this one turned out too cute. I knew I had to make one for the Scraper's. This could be done in any color and still be cute. Let me know what you think. Totally cute, COOL, & Super FUN!!! LOve it!! Oh my that is so cute! I'm lovin' your mug rugs!! 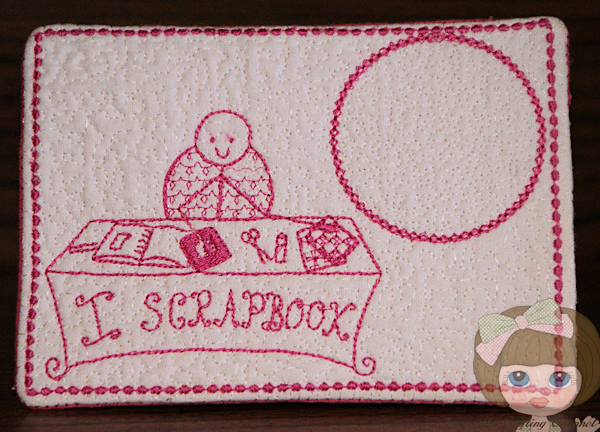 I think you are inspiring me to get back to sewing, I'll need to dust off my machine! Super adorable !! Love it!! Have a great day. DAR-LING! How cute is this!